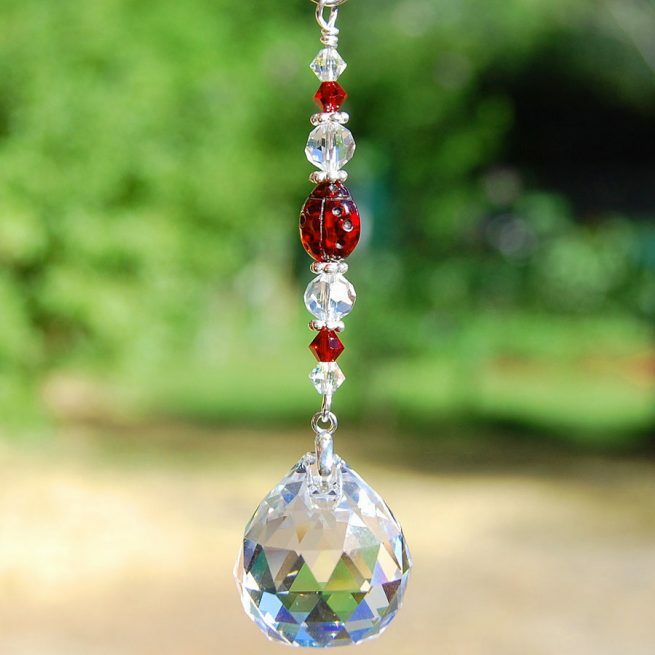 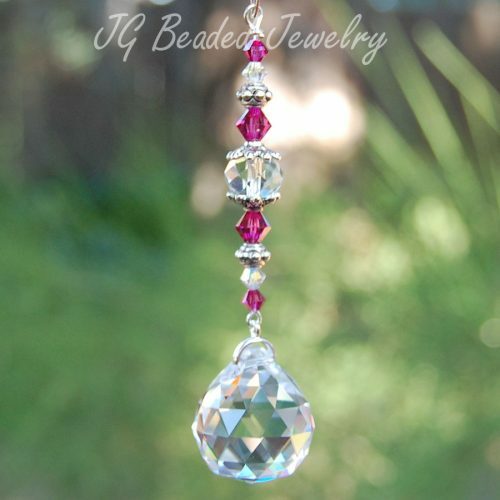 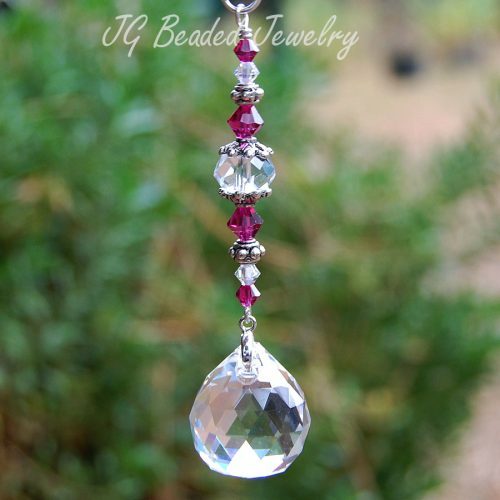 This handcrafted ladybug crystal suncatcher is uniquely designed with a translucent red ladybug glass bead, iridescent and red Swarovski crystals, faceted clear crystals and fancy silver metal beads. 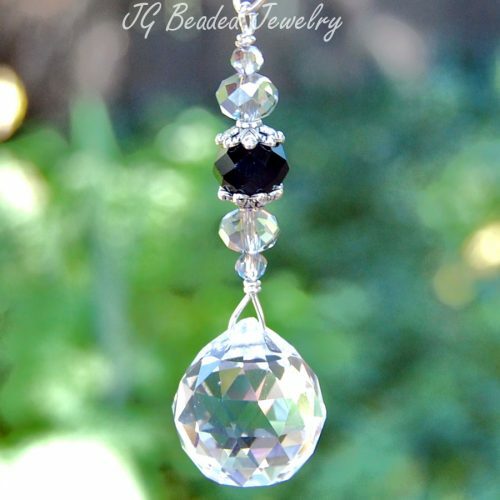 The prism crystal measures 20mm and is a nice size for the rear-view mirror. 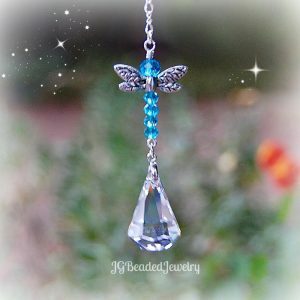 Can also be hung in a window!